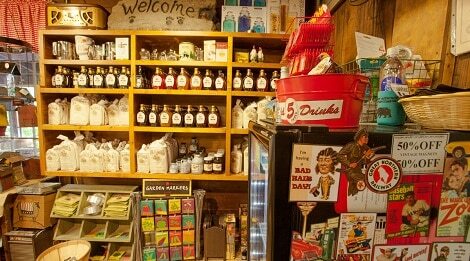 The Old Mill General Store adjoining our Historic Old Mill, is a favorite shopping destination for a million plus visitors each year. 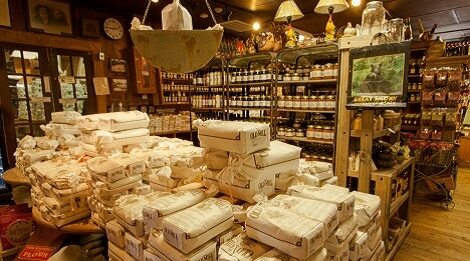 At the General Store, you’ll find all of The Old Mill’s fresh-ground grains, such as yellow and white grits or cornmeal, a variety of flours, and our famous pancake and specialty mixes. 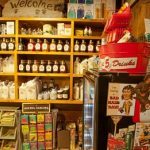 You’ll also find homemade jams, jellies, dip mixes, and other popular products from our Old Mill Signature line of foods, as well as a unique selection of gifts, Smoky Mountain memorabilia, and craft items to help you remember your visit to a true national treasure. Stop by and see where it all began! 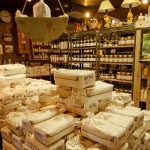 Explore more fun things to do at The Old Mill Square during your Pigeon Forge stay.